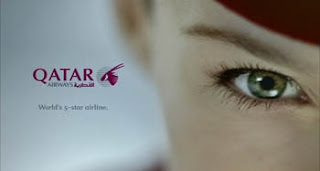 OneLuxuryTravel.com selected Qatar Airline as the most luxurious and professional flight service provider. Indeed, the 5-star airlin, offers a private premium terminal for its First and Business class passengers at Doha International Airport. This Private Premium Terminal is offering fine dining with specially selected wines and champagnes (with some exclusive to Qatar Airways).All is set up to accommodate important business travelers. Free wireless internet is available, as well as meeting rooms that can be used for phone or video conferences, or even a simple face-to-face meeting. Moreover, the service is perfect: the center is staffed 24 hours a day with staff ready to provide assistance. The Premium Terminal is providing an extensive duty free shop featuring everything from electronics and clothing to fragrances and spirits. A multi-lingual staff will help you to find that perfect present for someone special…or something for yourself. 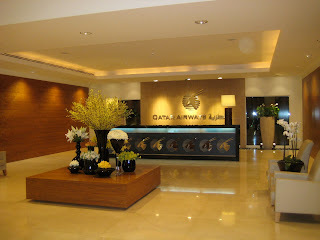 OneLuxuryTravel.com gives a special applause for the Spa service of Qatar Airline's Premium Terminal offer. As long as you’re taking care of yourself, the Spa will offer you full facilities to relax between your flights. 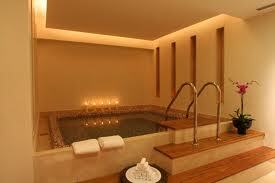 The spa offers facials, massages and other treatments provided by professionals. If those aren’t for you, perhaps a Jacuzzi is just the way to unwind before your flight.